NLC has a long tradition of insuring one and two family houses that are rented to others in the states of Connecticut, Massachusetts, and Rhode Island. 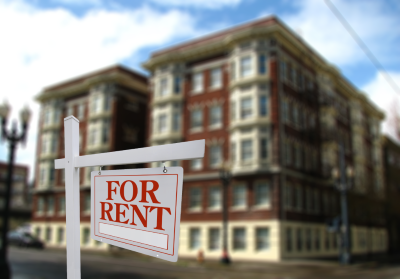 Coverage can also be written for condominium units that are rented to others. Coverage for one or two family dwellings that are specified in the policy. Up to 10% of the dwelling coverage for other structures on the insured location. Additional coverage can be purchased. Personal Property owned by the policyholder can be insured. This coverage is not automatically provided in the Dwelling policy and must be specifically requested. Fair Rental Value coverage provides up to 10% of the dwelling amount if the tenants cannot occupy the house due to a loss covered by the policy. Coverage is available for Single Family dwellings that are temporarily vacant. In order to be eligible the dwelling must be actively up for sale. Certain eligibility requirements must be met in order to insure dwellings that are temporarily vacant and your local NLC agent can give you more details about this program. One Year Policy – Five Pay Plan - This plan has a 25% down payment and four remaining equal installments. The four installments are billed at 45 day intervals and include a $4 service charge. Six Month Policy (Vacant Dwelling Program only) – Two Pay Plan – This plan has a down payment of 50%. The second installment is billed 30 days from the policy inception date and includes a $4 service charge. Contact a local NLC agent to find out more.